Simon is Global Chief Executive of Bibby Financial Services (BFS), a leading independent international factoring and invoice discounting provider. BFS provides expert knowledge and a versatile suite of funding solutions to businesses. Simon is passionate about supporting SMEs and believes BFS’s global presence, expertise and local decision making are unique within the industry, adding real value to businesses looking to achieve growth. 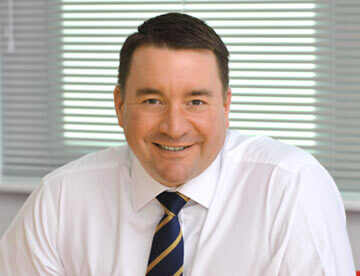 Simon joined BFS in September 2011, prior to which he was Managing Director at Lloyds TSB Commercial Finance and previously Network Director for Lloyds TSB Commercial Banking. From 2004-2010, he was also CEO and Chairman of The Agricultural Mortgage Corporation Bank and in 2009 was Lloyds Banking Group Regional Ambassador for the Midlands, with responsibility for promoting the wider Group’s interests across key external stakeholders. Prior to joining Lloyds, Simon spent 10 years in various leadership roles at Barclays Bank, including Corporate and Specialist Sales. Simon is a Board member of the International Factors Group (IFG) a global trade association that represents the factoring, invoice financing and asset based lending industry. He is also on the Board of the UK’s Asset Based Finance Association which has been active in supporting the development and implementation of an industry code for the UK. Additionally Simon is a Non-Executive Director of fellow Bibby Line Group company Bibby Distribution Services (Holdings) Ltd.
An active supporter of several social and charitable organisations, Simon has an active role in the UK’s Prince’s Trust, as a member of its Midlands Leadership Board, together with providing business mentoring to aspiring entrepreneurs. Simon is a dedicated champion of Bibby Line Group’s “Giving Something Back” programme which sees the Group’s employees collectively raise around £2m annually for charities worldwide. Not just a supporter, Simon participates in many events himself, including the successful completion of a gruelling 24 hour “Ridge Walk” hike across rough English terrain, the painful results leaving him able to wear only sandals for a week afterwards! Simon lives in Solihull, UK, with his wife and two children. His interests include skiing, football, golf and scuba diving. He has a keen interest in the psychology of coaching. Bibby Financial Services is a leading independent business funding specialist, providing financial solutions to almost 7,000 small and medium-sized businesses worldwide. With 46 operations spanning Europe, the Americas and Asia-Pacific, local expert teams help clients to maximise business opportunities both in their domestic markets and when trading internationally. Bibby Financial Services is supported by its parent company, Bibby Line Group, a services group involved in financial services, ship owning and operation, shallow water accommodation, offshore oil and gas services, contract logistics, specialist plant and equipment hire, employment law and health and safety advisory services, memorial parks, and retail. The company was founded by entrepreneur John Bibby in 1807 and has its head office in Duke Street, Liverpool, UK.